International Secret Agents (ISA) is proud to present “My APA Story” supported by McDonald’s. McDonald’s is a strong believer in the power of storytelling. 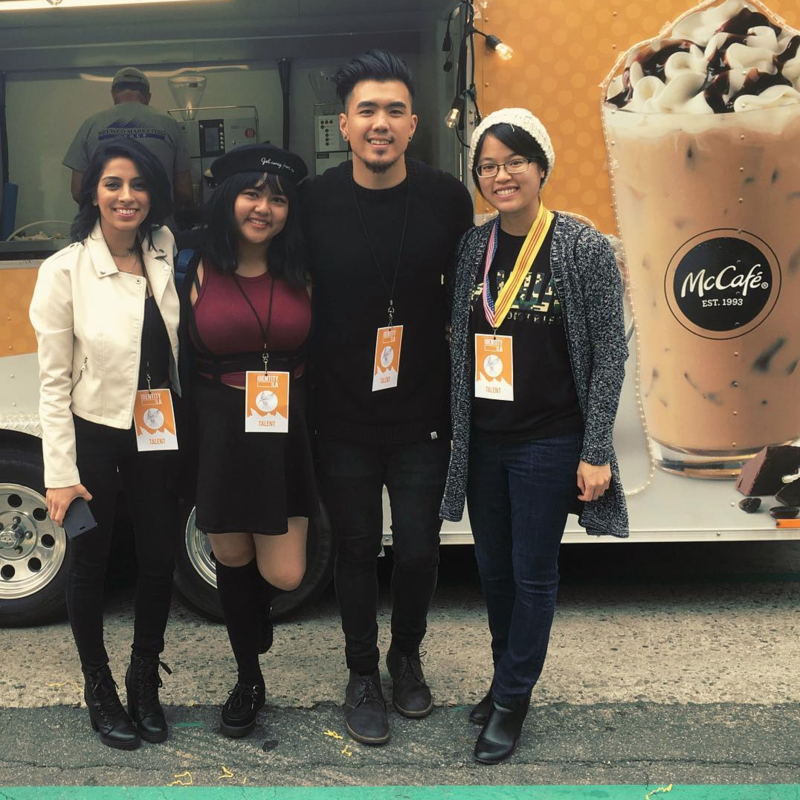 McDonald’s is proud to celebrate the voices & legacies of Asian Pacific American Heritage Month by supporting storytellers across the nation. Beyond these stories, they’ve supported an amazing set of mini documentaries about Asian Pacific American women in STEM (Science, Technology, Engineering, Mathematics). Watch below or see the full set by clicking here. 2018 APA Legacy AnitaWorden PSA :60 from Heritage Series, LLC Videos on Vimeo. In the spirit of storytelling and in honor of APA Heritage Month, we invite you to share YOUR story. What moment, person, or memory do you have that is significant to your personal APA Story? Share your story online to not only connect with people all over the nation but to win the opportunity of a lifetime. Four lucky fans will get to hang VIP at one of the ISA produced APA Heritage Month Music Festivals during May with some of the best digital storytellers in the world, Joseph Vincent (Musician), Ryan Bergara (Buzzfeed Unsolved), and Simmi Singh (Actress/Comedian). Winning fans will be flown out to IDENTITY LA (featuring Jay Park) or HERITAGE SF (featuring Yuna & P-Lo) to hang out & learn from one of the celebrity storytellers. 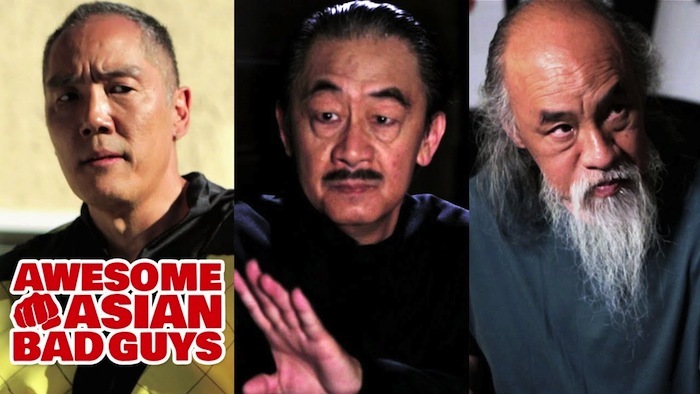 They’ll also get recognized on stage in front of thousands of fans from around the nation all the while getting the VIP experience watching top acts in Asian Pacific American music. Most importantly they’ll be provided a platform to be inspired and people that will encourage them to continue to tell their story. During their stay they will also get the opportunity to meet other leaders in the APA Community, celebrate Heritage Month, and take part and star in a special video that will be fully produced and distributed through ISA that will feature their APA Story. IMPORTANT: Submissions must be made by 11:59PM (PST) Wednesday, May 2, 2018. Submissions will ONLY be accepted by people based in the United States, age 18yrs or older at time of entry. BEFORE submitting please read ALL RULES listed below. By submitting, you acknowledge you have read and understood all applicable rules. We want to know a moment from your life that was meaningful to your personal story. It can be as intimate as the story of how your parents met or an inspirational moment of what it meant to you when you first saw an APA Artist on stage. These stories should be told through Instagram, and can be Static Photo, Graphic Art, Video, Animation. Artwork image of the first thing you drew when you were in grade school. All posts must come with a caption that describes the post in question and why it is an important part of YOUR story. If you are unable to create an Instagram account or cannot use Instagram to upload, please email Info@ISAtv.com for acceptable alternative ways to submit for contest. Please upload entry to Instagram with caption that clearly expresses what entry is about and why it was meaningful to their personal. Before entering, please keep in mind that winners should be available for either the Los Angeles IDENTITY LA Festival on Saturday, May 12, 2018 or San Francisco HERITAGE SF Festival on Saturday, May 19, 2018. In the event winner is not available during the allotted time frame, a consolation prize (decided by ISA) will be awarded to the respective winner. After posting video to instagram every Entrant must fill out the following submission form. Entrant must be at least eighteen (18) years of age and the age of majority in his/her state of primary residence at the time of entry. Entrant must be a legal U.S. resident physically residing within United States or Washington D.C.
Entrant, if selected as the potential winner, must consent to a background check as a condition of eligibility and as a condition of being confirmed as the Winner. If Entrant does NOT have an Instagram Account or is unable to create one – please email Info@ISAtv.com for an acceptable submission method. Entrants can submit for more than one category, BUT no more than once per category. Submitting more than once will not better the odds. The Submission must be original to Entrant and Entrant must be the rightful owner of the Submission or must have the rights, title, and interest necessary to utilize the Submission for the Contest in compliance with these Official Rules. Winners will get VIP access to either IDENTITY LA Festival on May 12, 2018 or HERITAGE SF Festival on May 19, 2018. Winners will get recognized on stage at event. Winners will get a chance to meet and spend time with available celebrity storytellers (Joseph Vincent, Ryan Bergara, and/or SImmi Singh). Winners will get a chance to take part in a short documentary, which will be produced and distributed through ISAtv. Winners will be provided opportunities to network and learn from other Los Angeles based digital creators. NO PURCHASE OR PAYMENT NECESSARY TO ENTER OR WIN. The following Contest is intended for participants in the United States and Washington D.C. only and shall be construed and evaluated according to the laws of the United States. Do not proceed in this Contest if you are not eighteen (18) years of age and a legal U.S. resident residing in the United States or Washington D.C. Further eligibility restrictions are contained in the official rules (“Official Rules”) below. CONTEST DESCRIPTION: MY APA STORY Contest (“Contest“) offers eligible entrants the opportunity to submit an entry video or image for the chance to win a trip to Los Angeles, CA or San Francisco, CA to meet and greet with a celebrity ambassador and get VIP attendance at IDENTITY LA Music Festival on Saturday May 12, 2018 or HERITAGE SF Music Festival on Saturday, May 19, 2018. Entry video or image will be posted to Instagram and should align with the creative “MY APA STORY” theme (the “Submission”) for consideration in accordance with these Official Rules. The Organizer & Administrator of this Contest is International Secret Agents LLC, 5200 West Century Blvd #708, Los Angeles, CA 90045 (“Organizer“). Entrants are providing information to Organizer and not to Instagram. ENTRY PERIOD: The “Entry Period” begins on or about 5:00 pm Pacific Time (“PT”) on Wednesday, April 18, 2018 and ends on Wednesday, May 2, 2018 at 11:59:59 pm PT. During the Entry Period, an Entrant may submit his/her Submission as described in Section 3. 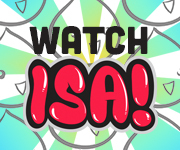 Entrant must have a non-private Instagram account and be able to receive direct messages; such Instagram account can be downloaded for free by visiting the app store applicable to the Entrant’s mobile device; if Entrant cannot use Instagram they will email info@ISAtv.com and receive an alternative method to submit entrant video. All Submissions must comply with the Submission Requirements specified below. Any Submission that does not comply with the Submission Requirements will not be eligible for consideration in the Contest. Submission can be a photo or video with a call out/description of how this fits the “MY APA STORY” theme. Submissions must NOT contain any derogatory references to any Contest Entities or be inconsistent with the Organizer’s brand. Each Entrant warrants and represents that his/her Submission complies with the Submission Requirements and the Entrant agrees to the Official Rules. Contest Entities reserve the right to edit, reject, disqualify or request removal of any Submission that may intentionally or unintentionally violate these Official Rules. Contest Entities will determine in their sole discretion which Submissions have satisfied the requirements of these Official Rules. Organizer has the right to change the Entry Period, and all other dates or deadlines set in connection with this Contest, at any time and in its sole discretion, and, if applicable, notice will be announced via the same social media platforms used to promote the Contest. 3. HOW TO ENTER: During the Entry Period, Entrants must post to Instagram and tag @ISAtv as well as include the hashtag #MyAPAStory2018 (the “Entry Hashtag”) for consideration. Entrants may post or repost multiple Submissions, but each Submission must be unique. Submissions must be received by 11:59:59 pm PT on May 2, 2018. Use of the Entry Hashtag constitutes Entrant’s understanding of, full and unconditional agreement to, and acceptance of these Official Rules. Organizer reserves the right to disqualify any Entrant that Organizer determines to be in violation of any term contained in these Official Rules. Organizer’s decision not to enforce a specific provision of these Official Rules does not constitute a waiver of that provision or of the Official Rules generally. 4. CONTEST JUDGING: Eligible Submissions will be evaluated by a panel of judges (the “Contest Judges”) based on the criteria and weighting below (“Judging Criteria”). The eligible Submission with the highest score will be determined as the Potential Winner, subject to verification of eligibility, execution of the Prize Acceptance Form (defined below), consent to a background check pursuant to Section 5 and compliance with these Official Rules. In the event of a tie, the tied Submissions will be re-judged by an additional Contest Judge who will serve as a tie-breaker using the same Judging Criteria as outlined herein to determine the Potential Winner, in his/her sole discretion. 5. WINNER SELECTION AND NOTIFICATION: On or about Friday, May 4, the “Potential Winner”, as determined by the results of the Contest Judges, will be notified via E-mail or Instagram in the form of a message from the Administrator. Potential Winner will be required to respond (as directed) to the notification attempt and provide confirmation and best form of contact information within twenty-four (24) hours of first attempted notification. Failure to respond within the stated time period may result in forfeiture of the prize. Potential Winner will be required to verify address, sign, and return within three (3) days of initial notification or receipt (whichever is earlier) a form covering eligibility, liability, advertising and publicity rights and such other production release documents as Organizer may provide (collectively, “Prize Acceptance Form”). Failure to return the Prize Acceptance Form within the specified time period may result in forfeiture of the prize and selection of an alternate winner from the remaining eligible entries for that prize. Additionally, the Potential Winner may be required to provide his/her Social Security Numbers for the purpose of submitting to a background check. Such background check may include (but is not limited to) investigation of criminal or other arrest or conviction record, and any other factor deemed relevant by the Organizer to help ensure that any Potential Winner will not, in the Organizer’s sole discretion, bring Organizer into public disrepute, contempt, scandal or ridicule or reflect unfavorably on Organizer. If requested, the Potential Winner agrees to sign waiver forms authorizing the release of personal and background information. Pending the results of such background check, the Organizer reserves the right to disqualify the Potential Winner in its sole discretion. All federal, state and local taxes, if applicable, and any other costs and expenses, associated with the receipt or use of the prize are the sole responsibility of the Winner. If prize is awarded but goes unclaimed or is forfeited by recipient, the prize may not be re-awarded, in Organizer’s sole discretion. Contest Entities, in their sole discretion, will attempt to contact up to four (4) Potential Winners of the prize in accordance with the above procedure, after which the prize may go unawarded if it remains unclaimed. Contest Entities reserve the right to disqualify anyone not fully complying with the Official Rules. 6. PRIZE: No more than four (4) prizes are available. Winner will receive one (1) 2-day /1-night trip (the “Trip”) to Los Angeles or San Francisco, CA (the “Event Destination”) for themselves and guest. The Trip is currently contemplated to take place in May 2018. The Trip will consist of the following: (a.) Round-trip coach class airfare for the Winner and a guest from a major airport with regularly scheduled commercial flights close to the Winner’s permanent residence (as selected at the sole discretion of Organizer) to the Event Destination; (b.) One (1) nights’ hotel accommodations for the Winner and guest at a hotel selected by the Contest Entities (one room, double occupancy, room & tax only); (c.) Local ground transportation in the Event Destination to/from airport/hotel and to/from hotel/Event; (d.) Two (2) meals provided per day for two (2) days by Organizer or in the event Organizer is unable to provide meal, a meal stipend of no more than $40 per day (or approximately $20 per meal) will be provided during course of stay; (e.) Opportunity for the Winner to participate in the My APA Story Experience, which will include meet and greet with celebrity ambassador, VIP Experience at IDENTITYLA or HERITAGE SF Festivals (“Event”), and have such experience documented by the Organizer (the “Productions”). The approximate value of the prize is less than $5,000. As a condition of receiving the Prize, the Winner must be willing to participate in the Event and the Productions and hereby authorizes Contest Entities to use, reproduce, distribute, perform and display such Productions in any and all media now known or hereafter devised, including Social Media channels such as Twitter, Instagram, Facebook, Snapchat, and YouTube. Further instructions regarding the Event and Productions will be provided by the Organizer upon Winner confirmation. The results and proceeds of such Event and Productions shall be the exclusive property of Organizer. The Event shall be deemed to be work-made-for-hire within the meaning of Section 101 of the Copyright Act and Organizer shall own all right, title and interest in and to such work-made-for-hire. Organizer shall have no obligation (express or implied) to use any Event materials, or to otherwise exploit any Event materials or, if commenced, to continue the distribution or exploitation thereof, and Organizer may at any time abandon the use of any Event materials for any reason, with or without legal justification or excuse, and the Winner shall not be entitled to any damages or other relief by reason thereof. If the Event and/or Production does not or cannot take place as scheduled or at all, for reasons included but not limited to scheduling conflicts, cancellations, postponement, or for any other reason, then Organizer will select another prize at their sole discretion to provide winner. In the event an associated celebrity ambassador is unable to fulfill “MY APA Story” experience duties and cannot meet with winner, a suitable replacement will be provided by organizer at their sole discretion. Travel must take place on dates designated by Organizer. The dates of departure and return are subject to change at Organizer’s sole discretion. All prize details are at the sole discretion of the Organizer. If the Winner is unable to participate in the Trip during the dates chosen by Organizer, the prize will be forfeited in its entirety. Actual value of prize will depend on point of departure, any airfare fluctuations and seasonal pricing; any difference will not be awarded. Winner is responsible for obtaining all necessary travel documents. Winner agrees to undertake the Trip at their own risk. All travel arrangements must be made through Contest Entities. Airline will be selected by Contest Entities in their sole discretion. Airline carrier’s regulations and conditions apply. Once Trip dates have been booked, no changes, extensions or substitutions are permitted, except at Contest Entities’ sole discretion. Contest Entities will not replace any lost or stolen tickets or travel vouchers. Any costs of travel exceeding the allowance provided herein shall be the sole responsibility of the Winner. For the avoidance of doubt, the Winner shall be solely responsible for all costs, expenses, and incidentals associated with prize acceptance and use, including, but not limited to, additional ground transportation, meals, beverages, gratuities, phone calls, insurance, taxes, and any other expenses not specifically mentioned as being included. Once travel commences, no unscheduled stopovers are permitted; if an unscheduled stopover occurs, full airfare may be charged to the Winner from stopover point for the remaining segments, including return, of the Trip. Contest Entities are not liable for any expenses incurred as a consequence of flight cancellation/delay. Trip may not be combined with any other offer and travel may not qualify for frequent flyer miles. Contest Entities will not obtain travel insurance on behalf of the Winner. Travel is subject to flight availability and other travel restrictions may apply. Winner is responsible for all applicable travel and other insurance, all applicable airport charges, including, without limitation, any baggage charges, airport taxes, fuel charges and any applicable Federal inspection fees. Organizer reserves the right to change travel dates and to substitute any or all of these portions of the prize for a prize of comparable or greater value should they become unavailable or impractical for any reason. ALL FEDERAL, STATE AND LOCAL TAXES, AND ANY OTHER COSTS AND EXPENSES, ASSOCIATED WITH THE RECEIPT OR USE OF THE PRIZE ARE THE SOLE RESPONSIBILITY OF THE WINNER. If the actual value of any prize is less than the ARV stated herein, the Winner will NOT be entitled to a check, cash or other form of payment for the price difference. For tax reporting purposes, the Winner must provide Contest Entities with a valid social security number before the prize will be awarded. An IRS Form 1099 will be issued in the name of the Winner for the actual value of the prize received. Winner cannot assign or transfer the prize to another person, except at discretion of Organizer. If a prize cannot be awarded due to circumstances beyond the control of Organizer, a substitute prize of equal or greater retail value will be awarded. Other restrictions may apply. All portions of the prize, are awarded WITHOUT WARRANTY OF ANY KIND, express or implied, without limitation. No prize substitution or cash alternative is allowed except at the sole discretion of Organizer. Any depictions of prizes are for illustrative purposes only. Other restrictions may apply. Trip Conduct: Winner shall conduct themselves with due regard to the public conventions and morals. The Winner shall not, while representing the Contest Entities during the Trip, commit an offense involving moral turpitude under local laws or ordinances. The Winner shall not commit any act that will tend to degrade the Contest Entities in society or bring the Contest Entities into public hatred, public disrepute, contempt, scorn, or ridicule, or that will tend to shock, insult or offend the community or public morals or decency or prejudice the Contest Entities. In the event any Winner engages in behavior that (as determined by Contest Entities in their sole discretion) is obnoxious or threatening, illegal or that is intended to annoy, abuse, threaten or harass any other person, the Contest Entities reserve the right to terminate the Trip early and send the Winner home with no further obligation related to the prize. Contest Entities maintain no control over the personnel, equipment, or operation of any air, water or surface carrier, transportation company, hotel, restaurant or venue (“Providing Party”) and Organizer is merely an independent supplier of the Trip and is not in any way related to each Providing Party. The Contest Entities shall not be liable for any injury, damage, loss, expense, accident, delay, inconvenience, or other irregularity that may be caused or contributed to (a) by wrongful, negligent, or unauthorized act or omission on the part of any of those Providing Parties or any of their agents, servants, employees, or independent contractors, (b) by any defect in or failure of any vehicle, equipment, instrumentality, service, product, or accommodation that is owned, operated, furnished, or otherwise used by any of those suppliers, (c) by the wrongful, negligent, or unauthorized act or omission on the part of any other person or entity not an employee of the Contest Entities, or (d) by any cause, condition, or event whatsoever beyond the control of the Contest Entities. 7. MATERIALS/RIGHTS IN SUBMISSIONS/PUBLICITY RIGHTS: In consideration of a Submission being reviewed and evaluated for this Contest, each Entrant (including each Potential Winner and Winner) hereby grants to the Organizer, and its designees, licensees, successors and assigns, the non-exclusive, perpetual, royalty-free, irrevocable, fully paid, universal right and license to use, license, distribute, incorporate, broadcast, telecast, webcast, distribute, re-use, publish, re-publish, perform, edit, transmit, composite, morph, scan, duplicate, create derivative works of or alter, sell, and otherwise exploit (a) such Submission (and to permit others to do the same), or any portion thereof, (b) to the extent applicable any information or content, including name, biographical or personal data, image, likeness and voice, included in any Submission submitted by Entrant in connection with the Contest; and (c) all Production elements, graphics, photos, voice recordings, statements, quotations and any other creative materials (including the Submission and Production elements) of or by the Entrant, Potential Winner and/or Winner as part of this Contest (collectively the “Materials”), in any media now known or hereafter devised, including, but not limited to, all forms of electronic media, print media and all forms of internet and wireless protocol. Each Entrant (including each Potential Winner and Winner) understands that his or her name and other Materials may be posted on the Organizer’s website, social media channels or elsewhere in any media in the Contest Entities’ sole discretion. Entrant agrees that the Organizer has no obligation to post a Submission or any Materials on Organizer’s website or elsewhere. Each Entrant (including each Potential Winner and Winner) agrees and acknowledges that participation in the Contest, including, without limitation, the decision to post any Submissions for purposes of the Contest, shall not give rise to any confidential, fiduciary, implied-in-fact, implied-in-law, or other special relationship between the Contest Entities and Entrant, Potential Winner or Winner does not place the Contest Entities in a position that is any different from the position held by members of the general public with regard to the Submissions, and that the only contracts, express or implied, are as set forth in these Official Rules, and the Prize Acceptance Form (as described above). In addition, by participating in the Contest and providing any Submissions, each Entrant (including each Potential Winner and Winner) hereby grants permission (except where prohibited by law) for the Organizer and its designees, licensees, successors and assigns to use Submissions, name, likeness, voice, quotes, comments, biographical information, photograph and/or image for the purpose of advertising, trade, or promotion without further compensation or consideration or permission or notification in any and all media now known or hereafter developed throughout the universe in perpetuity. 8. RIGHTS OF CONTEST ENTITIES: Contest Entities shall have the right and sole discretion to disqualify any Submission(s) whatsoever which it finds to be in violation of the provisions hereof, does not fully comply with all of Contest Entities’ requirements in connection with any and all legal clearance issues, or which it finds in its sole discretion to be otherwise objectionable for any reason. The Contest Entities are not responsible for any materials provided by Entrants which are deemed harmful or offensive to others or for any harm incurred as a result of participation in the Contest. All statements and opinions made by Entrants are those of such Entrants only, and the Contest Entities neither endorse nor shall be held responsible for the reliability or accuracy of same. Contest Entities are not responsible for the content or practices of third party websites or social media platforms that may be linked to the Contest. The website and/or social media platform may also be linked to websites operated by companies affiliated with Contest Entities. Visitors to those sites should refer to each site’s separate privacy policies and practices. 9. CONDITIONS OF PARTICIPATION/RELEASES: All federal, state and local laws and regulations apply. By participating, each Entrant agrees to be bound by these Official Rules and the decisions of the Contest Entities, which shall be final in all respects. Each Entrant (including each Potential Winner and the Winner) agrees to release the Contest Entities and each of their respective parent companies, subsidiaries, affiliates, suppliers, distributors, advertising/promotion agencies, and prize suppliers, dealerships, dealership associations and each of their respective parent companies and each such company’s officers, directors, employees and agents (collectively, the “Released Parties“) from any and all actions, claims, injury, loss or damage arising in any manner, directly or indirectly, from participation in this Contest and/or acceptance or use of a prize. The Released Parties shall not be liable for: (i) any injuries, losses, liabilities or damages of any kind including personal injury or death caused by the prize or resulting from acceptance, possession or use of a prize including participation in any activity related thereto, or from participation in the Contest; (ii) telephone system, telephone or computer hardware, software or other technical or computer malfunctions, lost connections, disconnections, delays or transmission errors; (iii) data corruption, theft, destruction, unauthorized access to or alteration of entry or other materials; (iv) late, lost, delayed, stolen, misdirected, postage-due, incomplete, unreadable, inaccurate, garbled or unintelligible entries, communications or affidavits, regardless of the method of transmission; (v) any inability of winner to accept or use any prize (or portion thereof) for any reason and such prize or portion thereof shall be forfeited; or (vi) any printing, typographical, human administrative or technological errors in any materials or activities associated with the Contest. Released Parties disclaim any liability for damage to any computer system resulting from participating in, or accessing or downloading information in connection with this Contest. Contest Entities reserve the right, in their sole discretion, to cancel, modify or suspend the Contest (or any portion of the Contest) at any time for any reason or should a virus, bug, computer problem, unauthorized intervention, extenuating circumstance or other problem/cause corrupt or inhibit the administration, security or proper play of the Contest and, in such situation, will select the winner from eligible non-suspect entries received prior to and/or after such action or in such manner as deemed fair and appropriate by the Contest Entities. Contest Entities may prohibit Entrant from participating in the Contest or winning a prize if, in its sole discretion, it determines Entrant is attempting to undermine the legitimate operation of the Contest by cheating, hacking, deception, or any other unfair practices or intending to annoy, abuse, threaten or harass any other Entrants or Contest Entities. CAUTION: ANY ATTEMPT TO DELIBERATELY UNDERMINE THE LEGITIMATE OPERATION OF THE CONTEST MAY BE IN VIOLATION OF CRIMINAL AND CIVIL LAWS AND WILL RESULT IN DISQUALIFICATION FROM PARTICIPATION IN THE CONTEST. SHOULD SUCH AN ATTEMPT BE MADE, CONTEST ENTITIES RESERVE THE RIGHT TO SEEK REMEDIES AND DAMAGES (INCLUDING ATTORNEY FEES) TO THE FULLEST EXTENT OF THE LAW, INCLUDING CRIMINAL PROSECUTION. BY PARTICIPATING IN THE CONTEST, ENTRANT AGREES THAT TO THE EXTENT PERMITTED BY APPLICABLE LAW: (1) ANY AND ALL DISPUTES, CLAIMS AND CAUSES OF ACTION ARISING OUT OF OR CONNECTED WITH THE CONTEST, OR ANY AWARD AWARDED, WILL BE RESOLVED INDIVIDUALLY, WITHOUT RESORT TO ANY FORM OF CLASS ACTION; (2) ANY AND ALL CLAIMS, JUDGMENTS AND AWARDS WILL BE LIMITED TO ACTUAL THIRD-PARTY, OUT-OF-POCKET COSTS INCURRED, (IF ANY), NOT TO EXCEED TWO HUNDRED FIFTY DOLLARS ($250.00), BUT IN NO EVENT WILL ATTORNEYS’ FEES BE AWARDED OR RECOVERABLE; AND 3) UNDER NO CIRCUMSTANCES WILL ANY ENTRANT BE PERMITTED TO OBTAIN ANY AWARD FOR, AND ENTRANT HEREBY KNOWINGLY AND EXPRESSLY WAIVES ALL RIGHTS TO SEEK, PUNITIVE, INCIDENTAL, CONSEQUENTIAL OR SPECIAL DAMAGES, LOST PROFITS, AND/OR ANY RIGHTS TO HAVE DAMAGES MULTIPLIED OR OTHERWISE INCREASED. SOME JURISDICTIONS DO NOT ALLOW THE LIMITATIONS OR EXCLUSION OF LIABILITY, SO THE ABOVE MAY NOT APPLY TO YOU. 10. INDEMNITY: Each Entrant (including each Potential Winner and the Winner) shall indemnify, defend and hold harmless the Released Parties from and against any and all claims, damages, actions, liability, loss, injury or expense, including reasonable attorneys’ fees and costs, arising out of or in connection with: (a) participation in the Contest; (b) a breach or allegation which if true would constitute a breach of any of the representations, warranties or obligations herein; and (c) acceptance, possession, grant, or use of any prize, including without limitation, personal injury, death and property damage arising therefrom. 11. GOVERNING LAW: Any and all disputes, claims and causes of action arising out of, or connected with, this Contest, including without limitation, any alleged violation of these Official Rules, any controversy relating to the arbitrability of any dispute, or any claim that the Contest, or any part thereof, is invalid, illegal or otherwise voidable (or void), shall be resolved exclusively by arbitration to be held solely in Los Angeles, California under the auspices of the American Arbitration Association and pursuant to its Commercial Dispute Resolution Rules and Procedures. Judgment upon the arbitration award may be entered in any court having jurisdiction thereof. This arbitration provision shall be deemed to be self-executing, and in the event that either party fails to appear at any properly noticed arbitration proceeding, an award may be entered against such party notwithstanding said failure to appear. In no event shall an Entrant seek or be entitled to rescission, injunctive or other equitable relief, or to enjoin or restrain the operation of this Contest. All issues and questions concerning the construction, validity, interpretation and enforceability of this Contest, or the rights and obligations of Entrants and Contest Entities, shall be governed by, and construed in accordance with, the laws of the State of California, U.S.A., without giving effect to any choice of law or conflict of law rules (whether of the State of California or any other jurisdiction), which would cause the application of the laws of any jurisdiction other than the State of California. 12. WINNERS /OFFICIAL RULES: To obtain the name of the Winner or a copy of these Official Rules, send a request along with a stamped, self-addressed envelope to “ISA MY APA STORY” Winner List or Rules, 5200 West Century Blvd #708, Los Angeles, CA 90045. Requests must be received no later than June 30, 2018. Vermont residents may omit return postage.